On this day in history, January 18, 1776, James Wright, Royal Governor of Georgia is arrested by the Georgia Provincial Congress. Wright was born in England and moved to South Carolina with his father in 1730. James became a lawyer and began to accumulate large plantations. 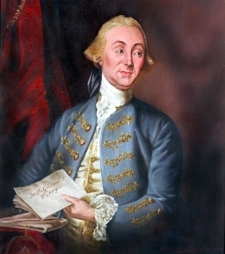 He went to London in 1757 as South Carolina's agent to Parliament and in 1760 was named Governor of Georgia. Wright was a popular governor and oversaw much of Georgia's early growth and expansion. He presided over negotiations with the local Creek Indians that saw hundreds of thousands of acres come under Crown rule. Much of Georgia's population remained loyal to the King, but patriotic fervor finally took over. In early January, 1776, a small British fleet arrived with the intention of buying rice for the beleaguered troops trapped in the Siege of Boston. The Georgia patriots had no intention of cooperating and the Provincial Congress promptly ordered the arrest of Wright and several other officials to prevent them from helping the newly arrived ships. 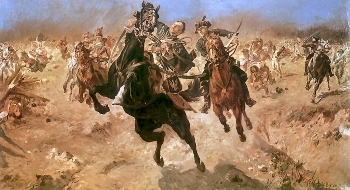 Wright was able to reestablish royal control over parts of Georgia, but it was an uphill battle. After the surrender of Cornwallis' army in Virginia in October, 1781, American General "Mad" Anthony Wayne started south and won several battles against British and Indian forces in Georgia. Wright knew it was only a matter of time before Wayne reached Savannah and he knew he could not withstand him when he arrived. Finally, on June 14, 1782, Wright received orders to abandon the city, which he did promptly within the week, abandoning Georgia to the patriots forever.